Christmas LED lights aren't just for Christmas. They can brighten your life all year round. At Christmas Designers, we sell Christmas LED lights. But while we're obviously huge fans of Christmas, we almost hate to use the term "Christmas lights" when referring to the lighting products we sell. That term is so limiting. It's true that our lights are used more for celebrating Christmas than for anything else. And it's great that our customers get so much pleasure from our lights during the holiday season, but the problem is that many of our customers pack their lights into boxes after Christmas is over, stuff the boxes into closets or attics, and there those lights remain until the next Christmas season. And to be blunt about it, that's just a terrible waste. You paid good money for those lights. And since LED bulbs have incredibly long lifespans, you could use them year round and expect to get many years of service from them. Weddings. Is there a more festive or joyous occasion than a wedding? Probably not! Is there anything that can do a better job of making a wedding even more festive and brighter than LED Christmas lights? Probably not!There's really no end to the creative ways in which Christmas lights could be used to brighten up a wedding. But you might start with using our bright, white LED MiniLights. Mini Lights can be used to brighten a wedding setting in an elegant and understated manner, without being overpowering or garish. Backyard / Patio Lighting. Do you enjoy spending time on your patio or in your yard during warm weather months? If so, you can make that time brighter and cheerier by stringing some light lines outside with our LED Retrofit Bulbs. The retrofit bulbs used in combo with Empty Socket Light Line allow you to build custom lights perfectly suited to your setting. (try the suspended socket cord for a particularly elegant look).Our Retrofit Bulbs are available in a wide range of colors and styles. And using the bulbs in conjunction with the Empty Socket Light Line means that you can swap out bulbs anytime you desire. So you can tweak color combos upon a whim, making your display perfectly suited for the occasion. Business Lighting. Do you happen to be involved in a business that displays Christmas lights each holiday season? Then you already know what lots of business owners know: Christmas lights attract customers. But here's what many business owners seem not to know: LED Christmas lights can attract customers year round!Certainly you won't want to keep your Christmas display up the whole year round. But there are lots of ways to put your Christmas lights to use throughout the year. You can use Christmas lights to accentuate special product displays, or to draw attention to special events, like sales. You can also use Christmas lights to ramp up attention from customers during other holidays; red, white and blue lights for the Fourth of July, for example, or orange and purple for Halloween. With just a little creativity , the possibilities are endless! Special Occasions. Christmas lights make Christmas seem, well, more Christmassy. But you can use Christmas lights anytime of the year to make any special event or celebration more unique and enjoyable.If you're throwing a birthday party, for example, why not string some Christmas lights all in the color of the birthday guy's or gal's birthstone?How about all green lights for a St. Patrick's Day celebration? Or red and pink for Valentine's Day? Big game coming up? Light up an area with your favorite team colors! With LED lights you’re able to turn a regular area into a party “zone”. 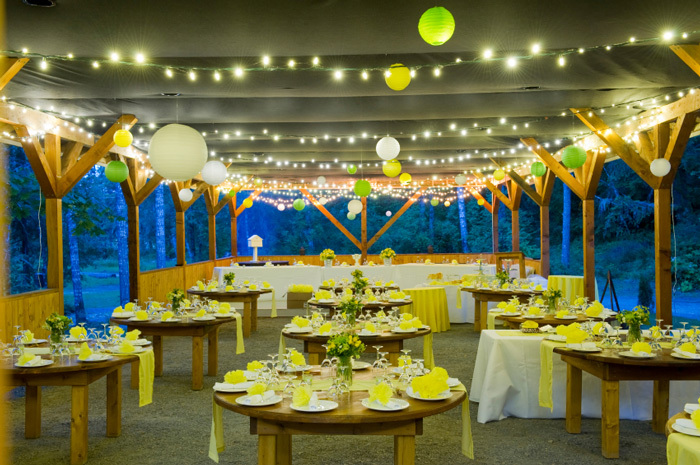 Cool Lighting Ideas for Events. When you're planning an event, that's a great time to get creative with the way you'll use LED lights to add a special touch to your event. There are lots of great ways to use Christmas lights beyond simply hanging strings of lights.Create magical light balls, for example, by wrapping Holispheres with LED Mini Lites. Use Icicle lights to provide a shimmering, elegant backdrop to your party setting. 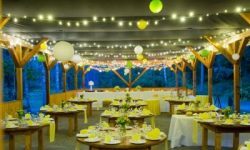 Drape LED light nets from ceilings to lend a mysterious, ethereal air to your special event.Apply a little imagination and ingenuity, and you'll come up with lots of unique ways to make your special event unforgettably special. We're going to keep using the term "Christmas lights" in describing our products. That's our bread and butter. And that's what people would expect from a company called Christmas Designers. But in truth, a more accurate name for our lights might be "anytime lights." Because they really can be used at anytime of the year, not just Christmas. So when the Christmas season draws to a close this year, we hope you won't pack your "anytime lights" too deep in the closet, or way back in the dark depths of your attic. We hope you'll keep them handy and easy to get to. Because the same joy and cheer those lights offer during Christmas can brighten your life the whole year round. Wouldn't it be a shame to waste that?